With an abundance of online shopping deals, everyone is looking for new ways to shop for the Holidays without having to head to the malls. Shopping for the Holiday season is already in full swing, and Cyber Monday is happening on Monday, December 1st this year. Cyber Monday works on the same principle as Black Friday, celebrating shopping savings and deals, except the only difference is that it occurs online. E-commerce companies will be offering incredible deals that you can take advantage of with just one click of a button from the comfort of your own home! But what does this mean for spenders who are easily lured into buying items they don’t need or cannot afford? It means that shoppers like you may be easily persuaded by numerous discounts, incentives, “savings,” options and free shipping. And Canadian statistics confirm this trend of increased spending from online sales on Cyber Monday. Figures released just last year by Moneris, the largest Canadian credit and debt card processor, showed Canadian online sales grew 29.33 per cent on Cyber Monday in 2013 compared to the previous year. Online growth even surpassed the traditional retail of Canadian Black Friday sales! Practice comparison shopping – If you are connected to a smart phone, compare different online retailers selling the same product to find the cheapest deal. Many online retailers today also have apps that allow smart phone users to look up products in the store. Using your mobile phone, you can explore other online stores for better bargains on the same product. Make a list, and check it twice – Create a list with the names of the recipients, as well as gift ideas and addresses. Keeping organized will prevent you from accidentally buying multiple gifts for your boss and none for your brother. If you have all the addresses in front of you, you can also take advantage of Cyber Monday’s free shipping deals to save even more money. Pay attention to extra costs – Sometimes, what you see isn’t what you get. Shipping, handling and taxes can easily add up and make an inexpensive gift turn costly. Recognize the final cost before you make a purchase, as well as how it compares to deals on other sites. After all, is it really worth buying a $10 item if it costs you an extra $10 on taxes, shipping and handling? Shop on trustworthy sites- A number of features ensure that communications is secure and third-party users cannot access your information to gain access to personal accounts and personal data. Make sure you are using trusted, secure sites. Use websites where HTTPS (Hypertext Transfer Protocol Secure) precedes the domain name, rather than HTTP. Other security features to look for .include IE Verisign, a lock in the URL bar and SSL certificates. Stack up Coupons & Save – One coupon on Cyber Monday is likely to save you a lot of money, but two are even better! Check to see if a retailer allows you to use more than one coupon for the same offer. For example, you might be able to score 20 per cent off an item with a code for free shipping as well. Always check reviews – Before making a purchasing decision, take some time to read over customer reviews on products that interest you. Do your research to compare the features of products, from fridges and toaster ovens, to digital cameras and television sets. User reviews can help you decide if a product will be right for your needs. If used properly, the Internet is a great tool for you to buy Holiday gift purchases on a budget. Just remember not to get lured into making purchases that you don’t really need! 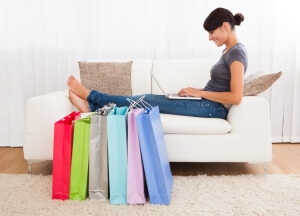 Use the tips provided to be a smart and savvy Cyber Monday Shopper.